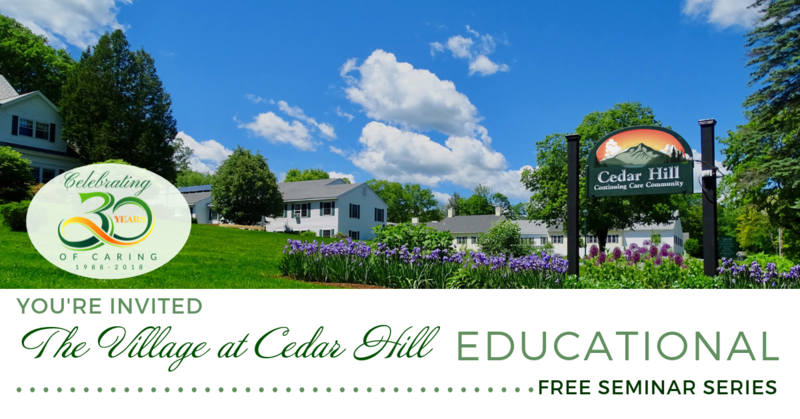 The Village at Cedar Hill is pleased to announce the return of their popular Speaker Series, beginning with “Estate Planning Made Easy”, presented by Jonathan L. Springer, Esq. on Friday April 12, 2019, from 10:30 – noon. Estate planning is not just for the super wealthy – nearly everyone who owns any kind of property has an estate. Your estate is comprised of everything you own— your car, home, other real estate, bank accounts, investments, life insurance, furniture, personal possessions. Estate Planning is making a plan in advance and naming whom you want to receive the things you own after you die while minimizing the tax burden. However, good estate planning is much more. Join us for this FREE program to learn more. 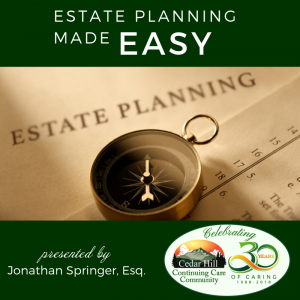 * What is an “Estate Plan”? * Why should everyone have a Last Will and Testament even if you have nothing to give? * What is a Durable Power of Attorney? Why should I have one? * What is an Advanced Directive and why do I need one? * Should I have a Trust so I can avoid Probate? * Can I do all this without having to pay a lot of money to an Attorney? With thirty years of experience as an attorney, Mr. Springer specializes in areas of estate planning, probate administration, and real estate transactions from his Windsor, VT office. After the presentation, there will be time for questions or comments. Admission is FREE, but space is limited and RSVP is recommended. Date: Friday April 12, 2019, from 10:30 – noon. 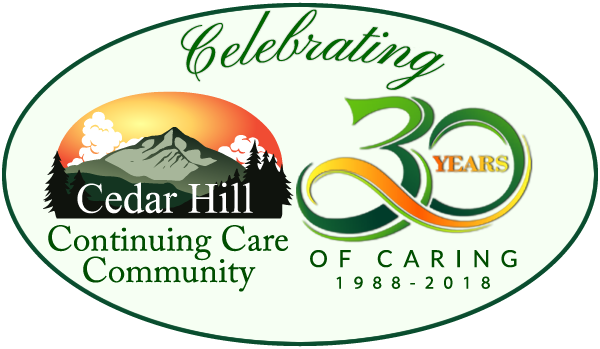 Visitors are invited to tour the Village Independent & Assisted Living Apartments and Memory Care Center. Cedar Hill staff will be available to provide additional information.